Sally and I went to the Carolina Ballet’s final program of the season on Thursday night. Ballet has so much emotional power. How fortunate are the dancers who can embody it and touch us with it. As they move, our minds move and feel. Could it be our mirror neurons? Perhaps that, combined with a common tradition and vocabulary of movement. Maybe, when all the stars align, we connect at a fundamental level with the dancers and the dance, and are changed ourselves. On Thursday, we saw the world premier of Robert Weiss’s new ballet, Beethoven’s Ninth, and found it very powerful. The music is iconically familiar, but apart from the familiar ode to joy, extremely strange. Weiss’s creation honors the tradition of the music, and also brings it into the present. He uses a large cast and a lot of movement. The stage surges with high-speed running, leaping, and spinning in every direction, creating tension and excitement. It’s wonderfully dense and complex, like the music. The work seems more about groups and relationships than about individuals. I thought it was truly brilliant. Is this possible? Could a work of amazing complexity and transcendent beauty shine forth in Raleigh, our sweet but modest mid-size southern city Of course! 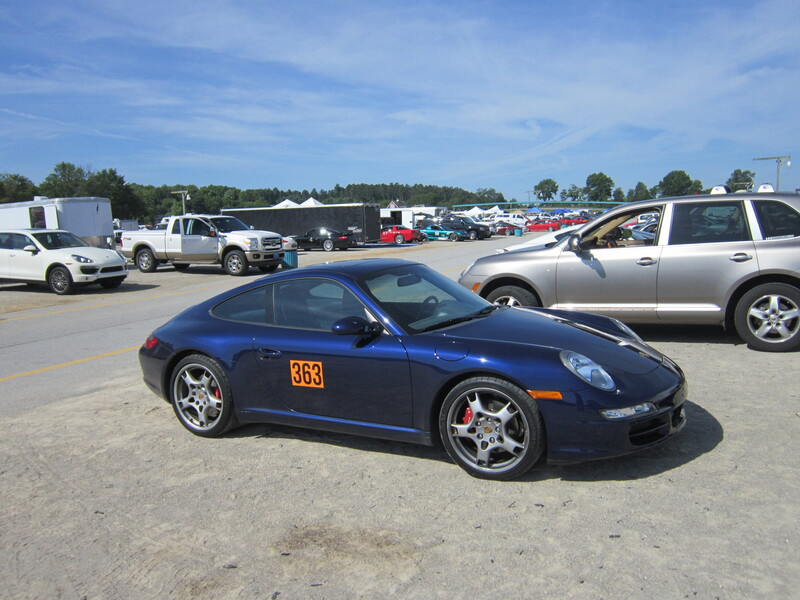 On Friday and Saturday, I took Clara up to Virginia International Raceway for some track driving fun. Both days were mild and sunny. There were dozens of beautiful Porsches, along with quite a few BMWs and Corvettes, and onesies and twosies of other vehicles. I was paired with Mike T, a very experienced teacher and Corvette guy. Like a lot of accomplished people, Mike was a perfectionist, and it was difficult to satisfy him. I felt a bit discouraged. At times he seemed to be coaching me towards a high-speed disaster, which in retrospect I think was the result of my not getting some of his vocabulary. Anyhow, there were some close calls involving taking too much speed into corners. But as the laps accumulated, the percentage of good turns increased, and I was passing most of the cars in my group. Mike didn’t make me feel great, but he may have helped me move me towards the next level.